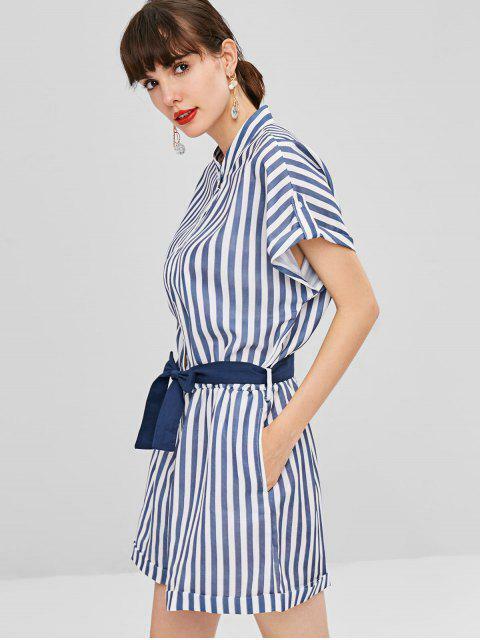 [61% OFF] 2019 Buttoned Striped Side Pockets Romper In MULTI | ZAFUL .. 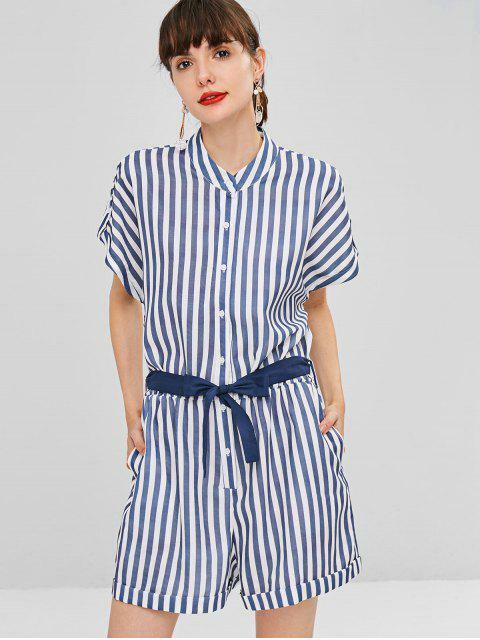 This romper in vertical stripe print has a tomboy vibe we love. It features a classic stand collar, a button placket at front, turned-up sleeves with buttoned tab, a defined waistline, a contrasting fabric belt, and functional side pockets to keep your essentials close by.